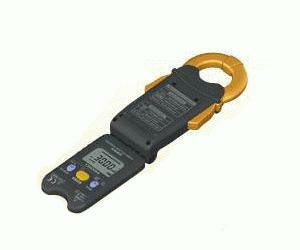 The convenience of being able to safely measure currents without the need to disconnect power lines has made clamp on current meters the required equipment for the technicians who are responsible for maintaining and inspecting new and existing electrical equipment at locations such as factories and offices. Market research indicates that most of the clamp sensor damage and other problems that these instruments frequently experience is caused by excessive twisting in confined spaces, particularly when technicians must forcefully rotate the tool in an effort to see the display during measurement. The CLAMP ON HiTESTER 3291 and CLAMP ON LEAK HiTESTER 3293 address these issues with newly developed low-profile sensors and a movable display, ensuring unmatched ease of use in the field. The new models meet technicians'' demands for easy operability in on-site measuring applications with exceptional portability and full-featured measurement functionality.